Sylvia Daunert, PharmD, MS, PhD, Excma. Dra. is the Lucille P. Markey Chair of Biochemistry and Molecular Biology at the Miller School of Medicine and the Director of the JT Macdonald Foundation Biomedical Nanotechnology Institute of the University of Miami. Prior to joining the University of Miami, Dr. Daunert was the Gill Eminent Professor of Chemistry and Professor of Pharmaceutical Sciences at the University of Kentucky. Dr. Daunert was also a Distinguished Professor of the College of Arts & Sciences and a University of Kentucky Research Professor. Among others, she is a Fulbright Scholar, an ELAM Fellow, and the recipient of the American Association for Clinical Chemistry van Slyke Research Award, the National Science Foundation-CAREER Award, the Cottrell-Scholars Award, the Lilly Analytical Faculty Award, the American Chemical Society A. F. Findeis Award, the National Science Foundation Special Creativity Award, the Bill Barfield Award from the Kentucky Water Resources Research Institute, the Albert D. and Elizabeth H. Kirwan Memorial Prize, the Provost’s Award for Scholarly Achievements of the University of Miami, the 2015 WCA Cancer Researcher of the Year Award, the 2018 Florida Cancer Initiative “Sunshine Award” from the South Florida Hispanic Chamber of Commerce. Dr. Daunert’s research focuses on the development of bio-inspired nanotechnologies to solve biomedical and environmental problems. Her group genetically engineers living cells and proteins for environmental detection, molecular sensing, molecular diagnostics, point-of-care tests, biomarker identification, and drug delivery. Additionally, the research of the group focuses on the development of targeted and responsive drug delivery systems. Dr. Daunert’s work has been featured in over 250 publications, patents, andhighlighted by the scientific media and popular press. She serves as editor and is a member of editorial and scientific advisory boards of journals, professional societies, as well as governmental and industrial organizations. Among other international awards and honors, Dr. Daunert is a member of the Real Academia Nacional de Farmacia of Spain and Academic D’Honor of the Reial Acadèmia de Farmàcia de Catalunya. In 2015, Dr. Daunert received the title of Ilustrísima Doctora and in 2016 the title of Excelentísima Doctora from the Kingdom of Spain. Finally, in 2018 Dr. Daunert was awarded a Professorship at the Institute of Hematology and Blood Diseases of the Chinese Academy of Medical Sciences and the Peking Union Medical College. Dr. Sung Jin Kim is an Associate Professor in the Department of Electrical and Computer Engineering and jointly appointed in the Department of Biochemistry and Molecular Biology. He oversees the operation of the nanofabrication core facility as a director of BioNIUM nanofabrication facility. He received his Ph.D. degree in Electrical Engineering from the State University of New York at Buffalo in 2008. After two years of work as a postdoctoral associate at the Institute for Lasers, Photonics, and Biophotonics (ILPB) at SUNY Buffalo, he joined UM in 2010. Since he joined UM, he has significantly contributed to the BioNIUM cleanroom facility for nano/micro device fabrication, and this core facility plays an important role to initiate interdisciplinary collaborative researches at UM. 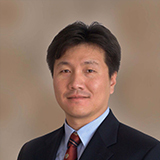 Dr. Kim’s research focuses on Nanophotonics for energy and sensing applications. He is exploring fundamental physics of light-nanostructure interactions as well as developing various optoelectronic devices and biomedical applications using engineered nanostructures and novel nanomaterials. He is a member of IEEE, HKN (Etta Kappa Nu) and senior member of SPIE (International Society for Optics and Photonics). Marc R. Knecht earned a B.S. degree in Chemistry from Duquesne University in 2001. 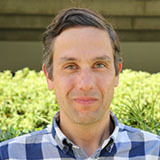 In 2004, he received a Ph.D. in Bio-Inspired Chemistry from Vanderbilt University under the direction of Professor David W. Wright, followed by postdoctoral research at the University of Texas with Professor Richard M. Crooks focused on characterizing the structure/function relationship of nanocatalysts. After completing postdoctoral studies, he began his independent career as an assistant professor of Chemistry at the University of Kentucky. In the summer of 2011, Professor Knecht joined the Department of Chemistry at the University of Miami as an associate professor, where he was recently appointed as the Associate Director of the Dr. J.T. Macdonald Foundation Biomedical Nanotechnology Institute at the University of Miami (BioNIUM) in 2018. During his independent career, Professor Knecht has established a research program focused on elucidating the effects of the biotic/abiotic interface of bio-inspired nanomaterials. In this regard, his group has employed high-resolution characterization, activity studies, and synthetic analyses of peptides to demonstrate that the biological surface of bionanomaterials possesses significant control over the functionality and could serve as modification sites to control the activity. Such experimental studies are reinforced with close collaborations with computational simulation to provide atomic-level resolution on biomolecular interactions to control structure/function relationships. In separate research areas, Professor Knecht also explores the application of metal oxide semiconductor nanomaterials as sustainable catalysts for environmental remediation. The basis of this research is the exploitation of sunlight to drive the degradation of known environmental pollutants for long-term activity. This research is focused on the identification of optimal binary and ternary material compositions for enhanced photodehalogenation activity and the effects of environmental conditions on sustainable reactivity. Dr. Deo is Professor and Graduate Program Director (GPD) in the Department of Biochemistry and Molecular Biology (BMB) at University of Miami, Miller School of Medicine. Dr. Deo’s research interest is in the area of bionanotechnology and biosensors. 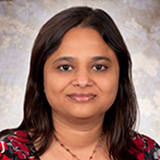 Her research interest include development of targeted delivery systems based on nanocarriers for targeted delivery, imaging, and sensing applications in biomedical field. Her group works on the development of technologies for point-of care detection of pathogens and design of novel nanobioanalytical techniques based on luminescent proteins and quantum dots for application in biomedicine. Dr. Deo is a author and co-author of over 110 scientific publications and several patents and a recipient of the NSF-CAREER Award. Dr. Deo serves on editorial boards of journals, NIH study section panels, and scientific advisory board of biotech industries. The research of her group is funded by the National Institute of General Medicine, the National Science Foundation, State of Florida, American Cancer Society, Coulter Foundation, etc. 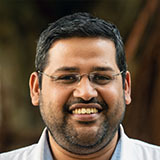 Dr. Ashutosh Agarwal is an Assistant Professor of Biomedical Engineering, and the Associate Director of Macdonald Foundation Biomedical Nanotechnology Institute at the University of Miami. His undergraduate degree from Indian Institute of Technology and his PhD from University of Florida are both in Materials Science and Engineering. He then gathered postdoctoral research experience in Biomedical Engineering at Columbia University, and at the Wyss Institute for Biologically Inspired Engineering at Harvard University. The research mission of his Physiomimetic Microsystems Laboratory (http://www.pmlaboratory.com/) is to develop human relevant organ mimic platforms for discovery of therapies and drugs, for modeling of disease states, for conducting mechanistic studies, and for differentiation, maturation and evaluation of stem cells. The lab is supported by NIH (1UC4DK104208, U01CA233363, 5U01DK104162), Early stage commercialization grants from Wallace H. Coulter Foundation, and a Sponsored research project from Mallinckrodt Pharmaceuticals.